The privatised water companies have picked up an unexpected windfall of at least £800 million, the Whitehall spending watchdog has disclosed. 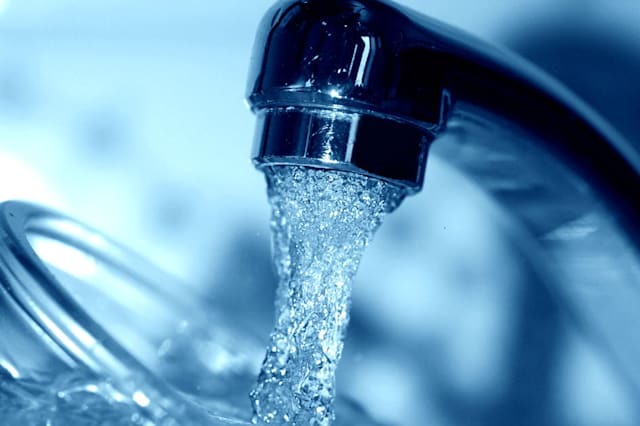 The National Audit Office (NAO) said water companies in England and Wales had gained from tax cuts and lower-than-expected borrowing charges over the past five years. However, customers failed to see the benefits on their water bills as the regulatory regime failed to "appropriately balance the risks" between the companies and consumers, the NAO said. It said that the regulator, Ofwat, needed to act to ensure that customers saw more of the gains when the companies benefited from developments that were outside their control. The NAO estimated that between 2010 and 2015, the companies gained £410 million from reduced corporation tax rates and a further £840 million from lower-than-forecast rates of interest. Over the same period the companies absorbed costs and provided water bill discounts worth up to £435 million, leaving them with a net windfall of £800 million. The NAO acknowledged the companies would have lost out if taxes or interest rates had risen but said the balance of risks in Ofwat's price cap was weighted too heavily in favour of the companies and had not achieved proper value for money. The head of the NAO, Amyas Morse, said: "Customers have not seen enough of the benefits of companies' unexpected financial gains from factors such as falls in corporation tax rates. "Ofwat made significant improvements in 2014, but its price cap regime is not yet achieving the value for money that it should." Overall the NAO found that by most measures, the services offered by the companies had improved markedly since privatisation in 1989. However prices have increased by 40% in real terms over the period - with the biggest rises coming between 1990 and 1995. Water bills accounted for around 2.3% of average household spending in 2013, rising to over 5% for the poorest households. Ofwat chief executive Cathryn Ross defended the watchdog's approach. "The report is right to say that companies made significant unexpected gains during the 2010 – 2015 period. This is not new information: Ofwat Chairman Jonson Cox challenged companies on this when he took the Chair in 2013. "The gains were largely as a result of unexpectedly low borrowing costs following the severe global financial crash, high inflation and changes in tax rates during the 2010 to 2012 period. "In looking at this the NAO also however acknowledge that the way Ofwat balanced risk between companies and customers shielded customers from increased financial risk which could have led to significant bill increases had rates increased. "I stand by this approach, because it protected customers from a risk that we did not think they should bear and provided certainty about the cost of their water bills. "We do expect companies to own their relationship with their customers, be transparent and do the right thing by them. "During this period we ensured that around £435 million was passed back to customers. A reassessment of the balance of risk and reward was also undertaken as part of the 2014 price review which resulted in the lowest ever cost of capital in a regulated sector set for the next five years and links company rewards and penalties to the outcomes their customers want to see delivered. "Overall, that is good news for customers, and going forward, the NAO recommendations will help us to further improve our regulatory approach to continue to better align the interests of customers and companies." She said she was "surprised by a suggestion that our price control regime does not yet achieve value for money". "The report itself states that the Consumer Council for Water found that the majority of customers are satisfied with the value for money of water services with an increase from 69% in 2009 to 75% in 2014. "Just last week the Competition and Markets Authority also endorsed our approach and supported significant price cuts for customers in the Bristol area – far greater cuts than the local company wanted." She said the report showed Ofwat was "constantly refining its approach to respond to a fast moving world of uncertainty, and its new regulatory framework will make the sector more resilient and accountable in future. "The NAO report highlights what Ofwat has already achieved: significant environmental improvements including service improvements, company efficiencies, and strengthening of company boards and corporate governance. "It also praises the outcome of our 2014 Price Review which means by 2020 bills will be £3 billion lower than companies had planned, a 5% decrease in real terms, £44 billion extra investment by companies and assistance to an extra one million vulnerable customers. "I am pleased that the NAO recognises the significant changes we have made to the regulatory model, putting greater emphasis on companies taking more responsibility for results, taking a longer term view of challenges and listening more to their customers' priorities. The NAO welcomes this approach, supported by a strong monitoring and assurance regime and our continuing commitment to step in quickly in a proportionate way when serious things go wrong. "Developing and maintaining trust and confidence in this vital service is a journey which involves the whole sector, and we are keen to learn from, and work with all of our stakeholders. The report's recommendations are helpful in providing a clear independent steer on some important issues facing the sector."